There are seven words that make my heart sink these days more than any others. No, they’re not “high heels are bad for you: fact”, or “there is no chocolate left for you”, but: “then people can upload their own versions”. Of course they can. But why on earth would they? The assumption-without careful consideration of motivation, incentive and user experience-that users are desperate to upload their own content is the new “let’s do a viral”. Yes, some great pieces of film are much parodied, painstakingly re-edited and lovingly mocked-the Downfall parodies series, for example, is a gift that just keeps on giving. But these examples are few and far between, requiring a depth of involvement, from a committed and talented fanbase, that few brands can command. We used to believe that if we built it, they would come. Now, all too often, we believe that if we build it, they will build another one…. There have been some excellent provocations recently about lazy (or over ambitious) participation. Agent provocateur Tim Malbon penned an inimitable rant about “the pointless participatory experience”. My erstwhile partner in crime Mel Exon wrote an excellent and characteristically nuanced piece about “The Power and Perils of Participation” and my esteemed colleague Mr Oliver Egan took it all on the chin, and promised to do better. So, as ever when putting pen to…screen…I ask myself: what do I have to add? My perspective is simply this: that, as Oliver points out, when it comes to designing participative experiences, we don’t actually have a choice. No-one on the planet needs any more evidence that the brand monologue is over and that communications that fail to deliver real utility or real entertainment are doomed. Yes, in the immediate term, there are still some occasions where we can let the consumer sit it out. Chrysler’s Superbowl ode to Detroit, for example, seemed to work pretty hard as a solo. But their days are numbered, even if we only want users to participate so far as to share a piece of brand content. (As this excellent Trendstream report notes, almost 30% of video consumed is recommended by friends). If our choices, then, are participation or irrelevance, then we had better, collectively, get better at designing for participation. Perhaps we had better turn what is at best an art and at worst an afterthought into something approaching a science. Okay, it’s (still) nothing like a science…but perhaps we can apply a little more rigour. So what are the key tools and questions we can use to deliver relevant-and better-participation? For me, there are four key questions we need to ask and a couple of models I’m finding helpful. 1. What level of participation do we want? Is our objective depth or scale? Do we want long term, repeat involvement or a short, shallower burst? (A digital “fling” as Saneel Radia puts it) Do we have time to activate evangelists and use them as our broadcast channel or do we need to reach a mass of people relatively quickly? Will we be happy with a “like” or do we want a “follow”? Is a “follow” enough or do we want a collaboration? 2. Who do we want to participate? Are we targeting super fans or those with more passive levels of involvement? The highly digitally literate or more casual users? To borrow Forrester’s segmentation, do we need to engage creators, conversationalists or joiners? Who are we targeting and what kind of participation do we want? 3. Why will they want to participate? 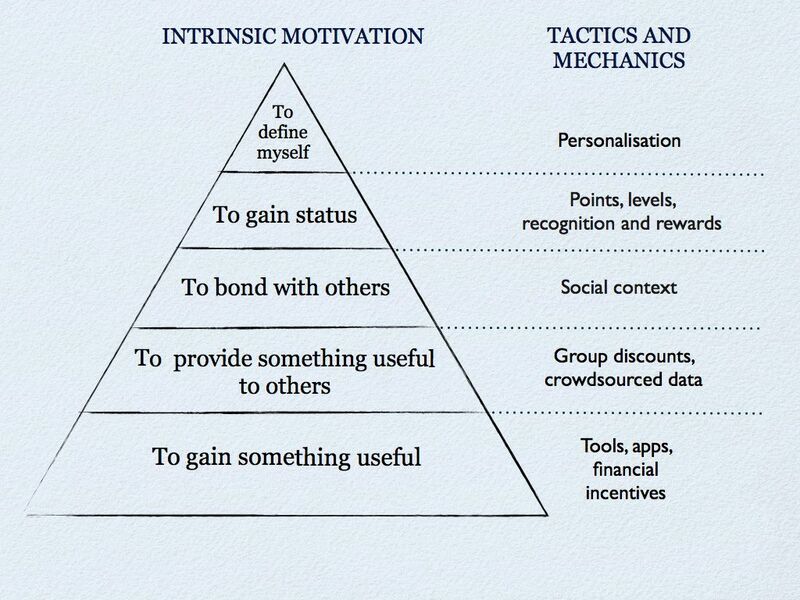 What is our target’s intrinsic motivation to participate? Status, self-expression, altruism? How can we build additional extrinsic reasons to believe, through real or virtual incentives? There are a number of core motivations here-inspired by Mike Arauz and Bud Caddell’s awesome Web Video Thunderdome presentation and informed by the CNN Pownar survey. Interestingly, some of the most powerful examples of collaborative creativity combine seemingly distinct motivations. Both Aaron Koblin’s awesome “Johnny Cash Project” and Len Kendall’s inspiring 3six5 project combine the desire for self-expression with the desire to be part of something bigger and better than one could achieve alone. Similarly, the rise of collaborative consumption marries the selfish desire to get more for less with the altruistic desire to benefit the community as a whole. Powerful motivations, powerfully combined. 4. Have we made it as easy as possible for them to participate? As Clay Shirky so memorably puts it. “Behaviour is motivation filtered by opportunity”. The final link in building participation, then, is designing user experiences that maximize simple, frictionless opportunities to participate. That means using familiar mechanics (tagging, liking, changing avatars) and maximizing social integration. Another simple framework for thinking about what level of complexity the user experience will tolerate is mapping effort versus reward. 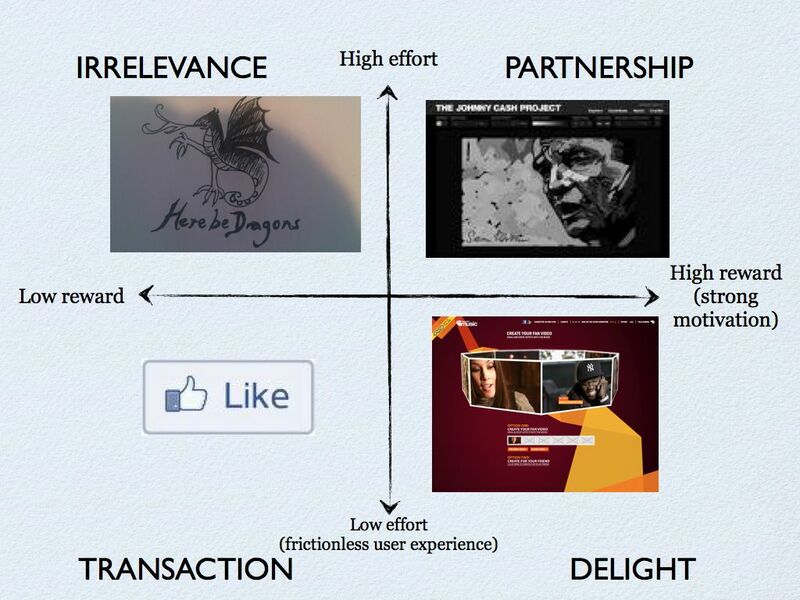 Creators, fans and evangelists will tolerate high effort in exchange for high reward (often intrinsic reward). There’s a sweet spot to be found leveraging social identities to deliver low effort, high reward experience such as the MySpace fan videos or a personal favourite of mine, the twitter followers parade. However, here’s clearly a dark and scary space where high effort meets low reward-here be dragons, or to reference Tim’s post again, that way customised cereal lies. Where do your plans sit? 25 Responses to "Planning for Participation"
Thanks Addy, great post yourself! I think that’s exactly right-what is the value exchange and how do different audiences define value. Pats, this is a great, well thought out article, and I have read it twice now. If I can summarise, we also need to get creatives working with social-savvy planners such as yourself to design in “hooks” that allow people to talk about the ads or experience and let them share, long after the media budget has been spent. An example might have been the April 2010 John Lewis ad, where many many people were tweeting about “the John Lewis ad” and how it made them feel. The creatives (deliberately or by accident) in this case gave the public a reason to connect with the brand. I would argue the participation may have been passive, but it allowed the ad to live on longer than the media plan dictated. Great point, Andrew. We often think that participation has to be complex or involved but it can just as easily be a simple response to a great piece of content (like the John Lewis spot) that perhaps the brand owner can aggregate or make greater than the sum of its parts. Sweet – you had me at “we don’t actually have a choice”. Feels like the first step of a participatory 12 step program which we all need to engage in. 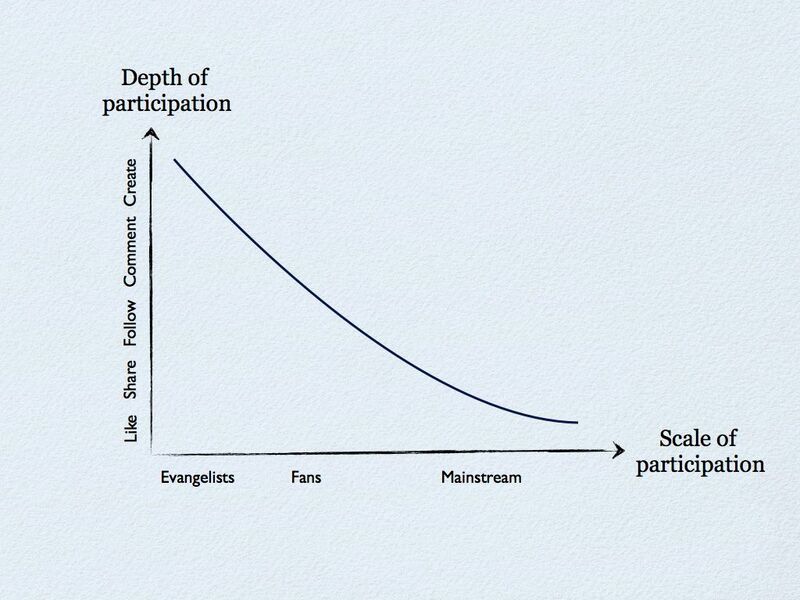 Let’s all admit that no matter how we try to avoid it there will be participation. And now that we have accepted that, we can go through the rest of the steps ending with “helping others who suffer from the same addictions or compulsions”, which you have done so ably above. Even the Chrysler ad, the high water mark of a very non-participatory Super Bowl ad collection, has driven great comment and discussion from praise of a return to roots to questioning Eminem as a voice of positive revival. I wonder if even this was a missed opportunity. Thanks Dan-happy to help Participation-phobes Anonymous! There’s something weirdly liberating about not having the option to rely on the old approaches in this case I think-we can’t go back so we have no choice but to go on and try new things. This is a great piece, thanks. As a collaboration designer, it’s interesting to see many in the market look at participants as tools to their success. Their meaning the inviters and conveners. Less often do we see authentic community building which is peer2peer and group2group engagement, which for me is a larger frame and stickier place to create. Hi Jack-fascinated by the idea of a collaboration designer, I must admit it’s not a term I’ve come across before but it sounds fascinating! How do you approach peer to peer collaboration? Agree it’s harder than engaging the influencers and initiators but certainly more scaleable. if you do not offer something people wont bite..
3. how does it help me? This is one of the best posts I’ve read about creative planning. As a Creative Director I appreciate the thought of participation. That’s an act that I can rally around and generate creative from. Thank you. Terrific exposition, but I’d call you on one thing – the choice is not necessarily between participation and irrelevance. What about the many occasions on which customers want to be passive? Hi John-it’s a good point and of course people are still passive in lots of situations today. But I think when we look at how much content consumed is content that’s been shared by friends, I think some level of participation is going to be increasingly critical, even if it’s only at the level of passing content on.